God does big things through small groups: He heals, unifies, encourages, and equips. Christ trained his twelve apostles in a small group. Paul and Barnabas were called to international missions while participating in a small group (Acts 13:1-3). Essentially, all believers owe something to those initial small groups, and many of us have experienced great blessing through contemporary ones. God does big things through small groups, and thatâ€™s why we participate in them and aim to lead them. In this study, we will look at the WHY of small group leadership. Why should we participate in and lead them? We will consider the WHAT of small group leadership, as we look at types of small groups, their elements, and their focus. We will look at the WHO of small group leadership, as we consider qualities of good small group leaders. 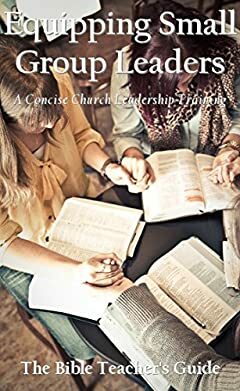 Finally, we will look at the HOW of small group leadership, as we consider the skills of a leader, the basic order of a small group gathering, and a sample Bible study lesson. Letâ€™s learn more about excelling at this strategic ministry together with The Bible Teacherâ€™s Guide.